More than a year after recreational marijuana sales became legal in California, cannabis businesses that are following state rules are struggling to compete with a black market that's still thriving. Now, legal shop owners are backing a new state assembly bill that would stop websites from hosting ads for unlicensed weed businesses. Assembly Bill 1417 would require online review sites like Weedmaps (think Yelp, but for weed) to include state license numbers on all of their digital pot shop ads. The aim: to get rid of ads for illegal shops that currently dominate search results in cities like Los Angeles. Each violation would cost websites up to $2,500 per day. 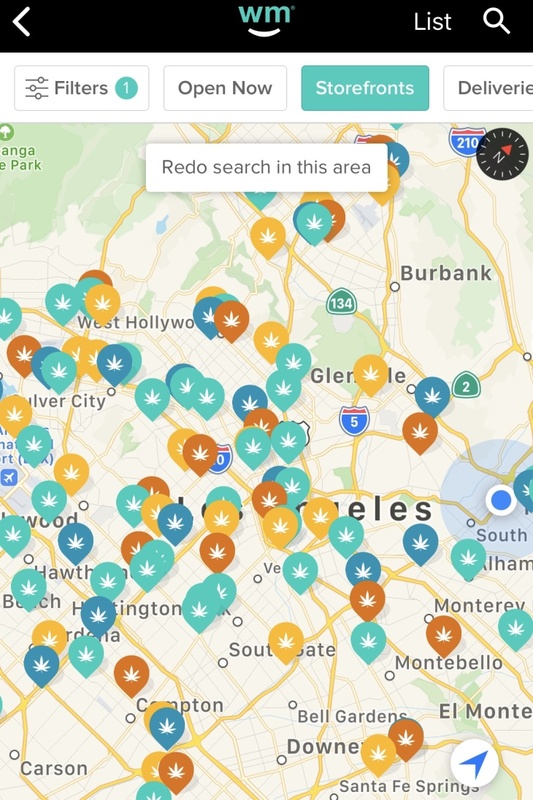 "Our goal is to hold a level of accountability for these technology platforms that claim to just be a directory," said Jerred Kiloh, president of the industry group United Cannabis Business Association, which is backing the bill, and owner of a Sherman Oaks dispensary. "They're not taking any responsibility that they are emboldening an illicit market," he said. WHY ARE WEED ENTREPRENEURS FIGHTING WITH WEEDMAPS? Legal shop owners in Southern California say they're getting crushed on Weedmaps. Unlicensed shops can advertise much lower prices on these platforms, because they're not paying taxes or following costly regulations. Daniel Sosa, owner of the LA dispensary La Brea Collective, thinks Weedmaps is funneling customers away from licensed shops like his. "They advertise prices we can't realistically do," Sosa said. "These platforms are driving money and consumers away from the legal market." COULD WEEDMAPS BE HELD RESPONSIBLE FOR THIRD PARTY ADS? Weedmaps did not respond to LAist's requests for comment. But so far, the Irvine-based company has resisted efforts to take down ads for unlicensed shops in California. Last year, the state's Bureau of Cannabis Control sent Weedmaps a cease and desist letter. But the company said it does not hold a state cannabis business license, so it's not subject to the agency's purview. "It says that websites aren't liable for third party content or ads," Goldman said. Put simply, the same provision that protects sites like Facebook and Yelp from being sued over user posts or customer reviews should apply to Weedmaps in this case, Goldman said. "The bill is not a good idea because even if it passes, it still won't work," Goldman said. But licensed shop owners don't think Weedmaps is acting like a neutral platform. "When they started, they were kind of the heroes of the cannabis industry. Because no one else was willing to take the lead for the cannabis industry to grow," said Jerred Kiloh. "And now they've turned into the scourge of our industry." But so far, efforts to shut down unlicensed shops one-by-one have had limited success. The City of Los Angeles has brought misdemeanor charges against hundreds of individuals allegedly involved with illegal pot shops. LA's City Council has even approved plans to disconnect water and power to problem businesses. 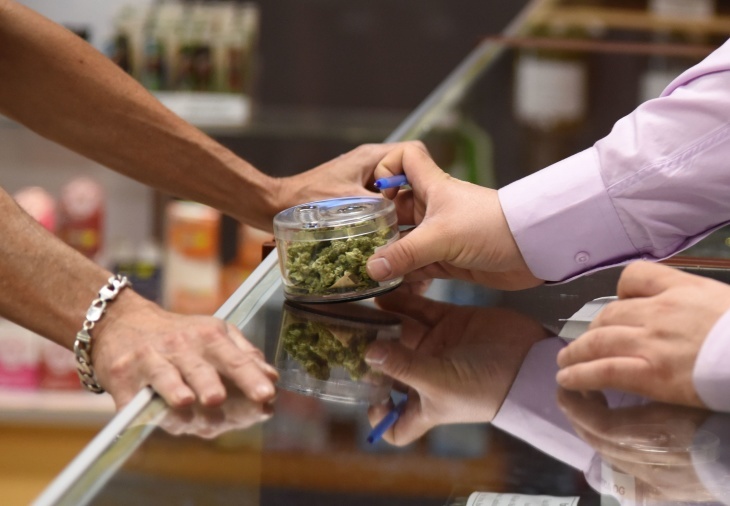 Some licensed shop owners think lawmakers are open to new approaches now that state tax revenue is coming in a lot lower than expected after the first year of legalization. Daniel Sosa supports the bill. "If they really want to capture real tax revenue, I think it's necessary," he said.